Memorial erected in memory of those who lost their lives during the Irish Famine 1845-1852. The simple ceremony was opened by Victor Briggs of the Bunurong people, in an acknowledgement that Irish and Aboriginal people had a shared history of oppression, and in regret that Irish had also been party to the dispossession of indigenous Australians. Even though many young women may have survived the worst of the famine years, they were left orphaned or abandoned and forced to enter workhouses. The already struggling workhouses could not deal with the growing numbers seeking help and became increasingly overcrowded and under-resourced as the famine worsened. In order to deal with overcrowding in workhouses, Secretary of State for the Colonies (and he of tea fame) Earl Grey began the Pauper Immigration Scheme between 1848 and 1850 to send female Irish teens to Australia. Grey proposed that young, marriageable women could serve as wives in Australia (often to Irish convicts) and provide female labor in the male-dominant and (at the time) hugely underdeveloped country. Up to 4,000 vulnerable and lonely Irish girls left for Australia to either work for as little as £11 a year or to marry an Irish convict, who were also being sent down under by the shipful. Aged between 14 and 45, the women were shipped out in batches of 200 to 300 at a time. 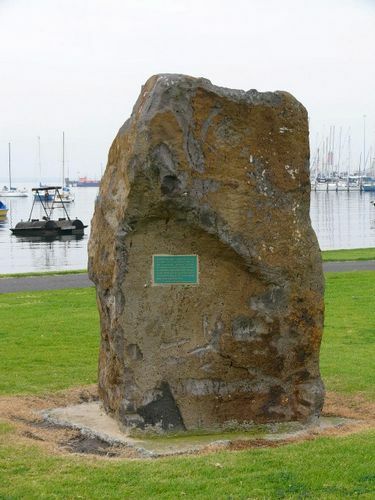 during the Great Hunger of 1845-52.
who sailed to Hobson`s Bay to build a new life. but in a spirit of reconciliation.